Spoiler: How does doubling the number of boxes affect the number of checks required? The answer to the above question is that the maximum number of checks for Linear Search would double, but the maximum number for Binary Search would only increase by one. The following files will run linear and binary search in various languages; you can use them to generate random lists of values and measure how long they take to find a given value. Your project is to measure the amount of time taken as the number of items (n) increases; try drawing a graph showing this. 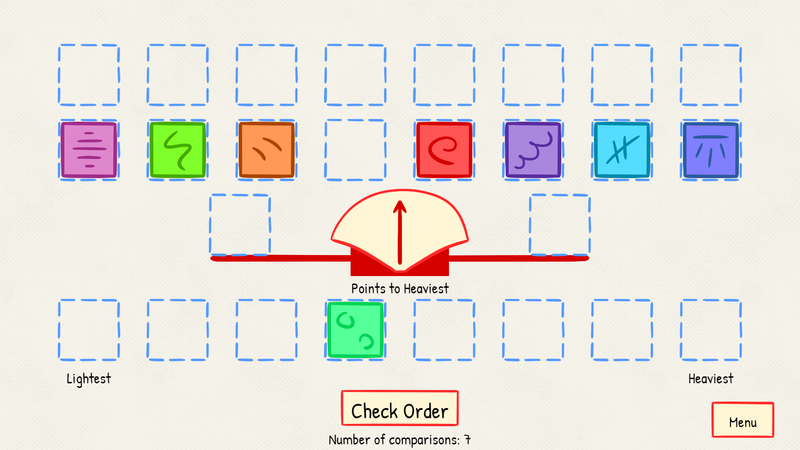 Now choose one of your piles and repeat the same process with it, choose a box from the pile and compare all the other boxes in the pile to it. This will split your pile into smaller sub piles and if you repeat this method on each pile you should eventually be left with 8 small sub piles, each of which contains only one box. The boxes should then be in sorted order! The following files will run selection sort and quicksort in various languages; you can use them to generate random lists of values and measure how long they take to be sorted. 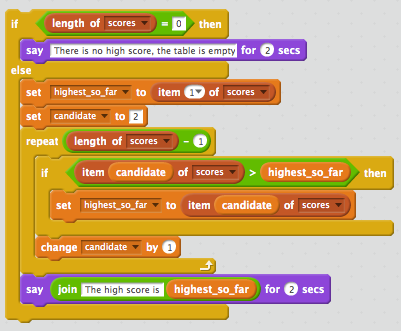 Note how long these take for various amounts of input (n), and show it in a table or graph. You should notice that the time taken by Quicksort is quite different to that taken by selection sort. There are dozens of sorting algorithms that have been invented; most of the ones that are used in practice are based on quicksort and/or mergesort. These, and many others, can be seen in this intriguing animated video.